The Charleston Wheelers rallied for four seventh-inning runs in this April 1990 contest. It was a rally that started off the bat of Rafael Bustamante, according to The Sumter Item. Bustamante started it with a double into the gap in right. With that foundation, the Wheelers turned a one-run deficit into a three-run win. Bustamante was in his third season as a pro that year with Charleston. He went on to get just one more. He never made AA. 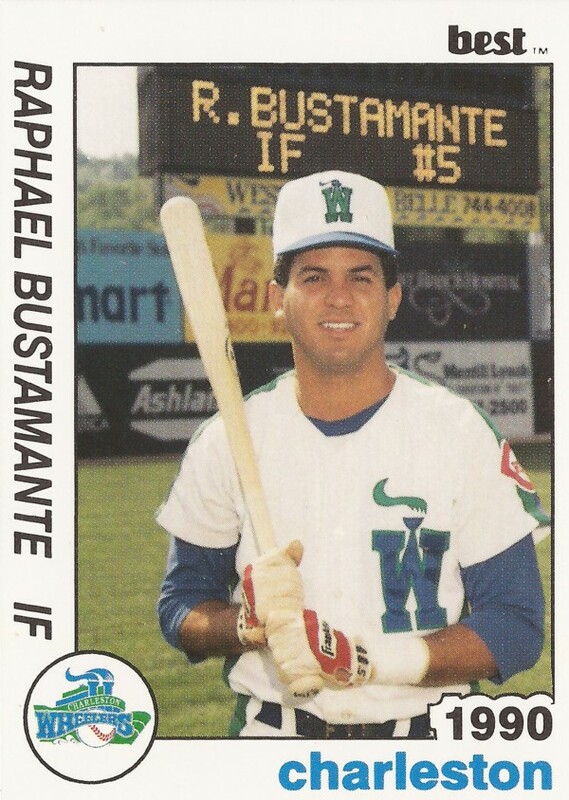 Bustamante's career began in 1987, signed by the Phillies as a free agent out of his native Venezuela. With the Phillies, he started at short-season Utica. He hit .258 in 53 games. He also knocked in 13. He moved to single-A Clearwater for 1988, but his average dropped to .155 in another 53 games. Bustamante's season at Clearwater was his last with the Phillies. He isn't recorded as playing in 1989. Then, for 1990, he signed with the Reds. 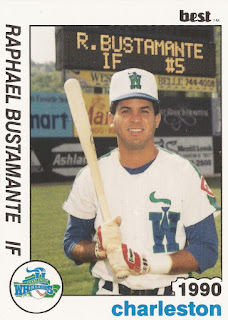 With the Reds, Bustamante played that year at single-A Charleston. Over 89 games, he hit .255. He helped extend another April lead, scoring on a double. Bustamante returned to Charleston for 1991, having a year that was similar to 1990. He hit .257 over 117 games. He also knocked in 33. It was his final season as a pro.